Therefore, he asked various parties who want to reverse the history to stop and recognize the sovereignty of the Unitary State of the Republic of Indonesia. "Respect the struggle of our parents, they have planted the seed and the fruit of independence of the Republic of Indonesia, so do not be tinkered again," he said. He also asserted that December 1 is not Day Papua Merdeka. "December 1, there is nothing, even a day of integration for Papua to join Indonesia, not continue to serve as Papua's Independence Day," he said. Lenis Kogoya on the same occasion questioned the security surge ahead of December 1 in Papua. According to him, there are parties who deliberately make the issue sticking out to the public. "We are starting to appear turbulent, and we ask as Papuan traditional figures, whether it is seasonal, or because of ideology, or made-up, the question of who made it." According to him, the President has been striving for development in Papua, including Otsus that poured into Papua. "I am with Mr. Jokowi to enter the inland areas of Papua, including to the base of Armed Kriminal Groups (KKB) red in Nduga and Puncak Jaya, we do for the equity of education and health," he said. 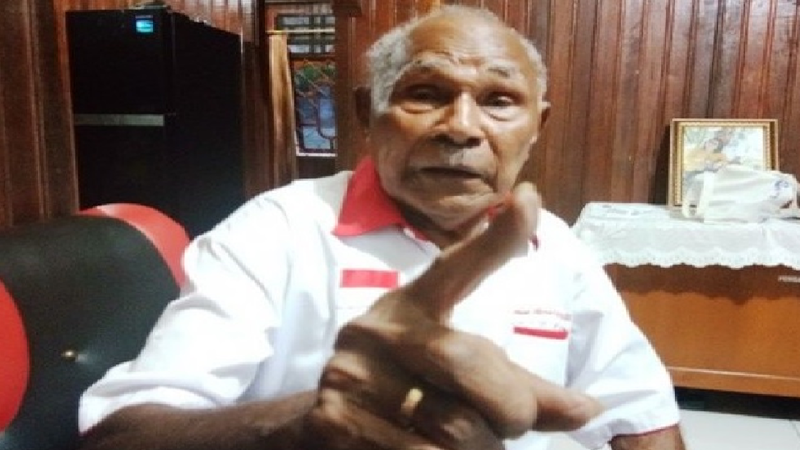 The press conference was concluded with a statement of stance read by Martinus Marware, the chairman of the Jayapura District Customary Council, among whom he denied the December 1 Independence Day of Papua or the TPN (OPM) day and declared that the date May 1, 1963 as 'The Day of Return of West Irian' to the motherland of NKRI and let the date be applied as a holiday for all of Papua.